A study of a 305 milion year old fossil harvestman from France has revealed that this specimen had four eyes. 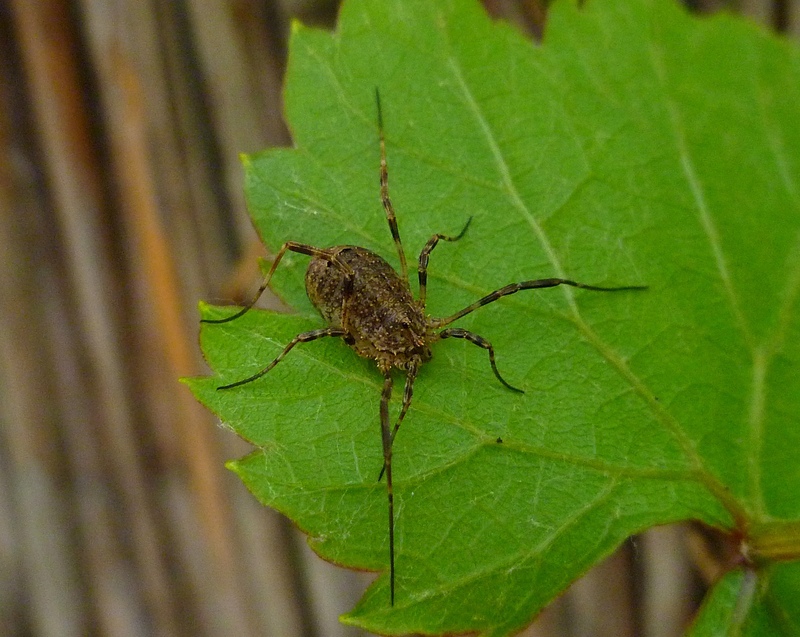 This is rather special, because all currently living harvestmen, as well as other fossilised harvestmen that have been studied, only have two eyes. 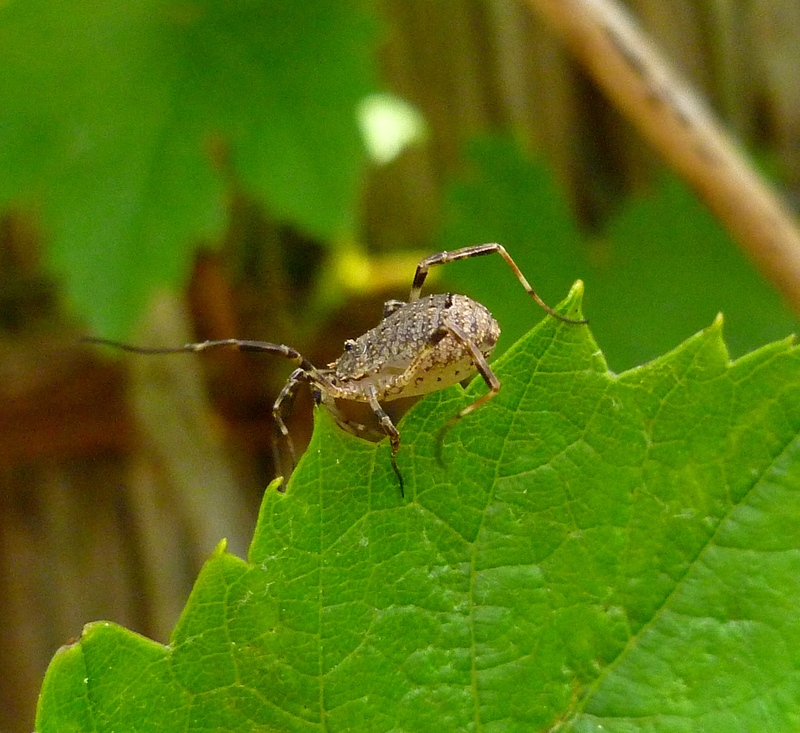 The finding is important for understanding the evolutionary development of the harvestmen and related groups, and for studying how morphological characteristics are acquired and lost during evolution. 3D scan of the extinct fossil harvestman Hastocularis argus. Screen shot taken from a video made by Garwood et al. 2014 (see text). The researchers made two 3D images of the fossil harvestman Hastocularis argus using microCT-scans at the Natural History Museum in London (they placed a very nice video online in which you can see the harvestman from all sides, to see it click the link and download movie S1). 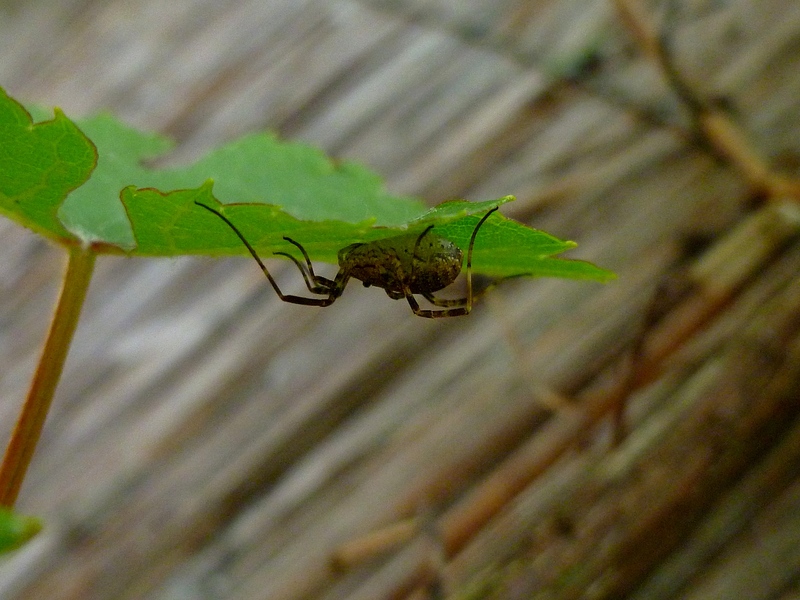 Apart from one pair of eyes on the top of the head, that almost all present-day harvestmen have, this specimen also had a pair of eyes at the side of its head, just above the first pair of legs. 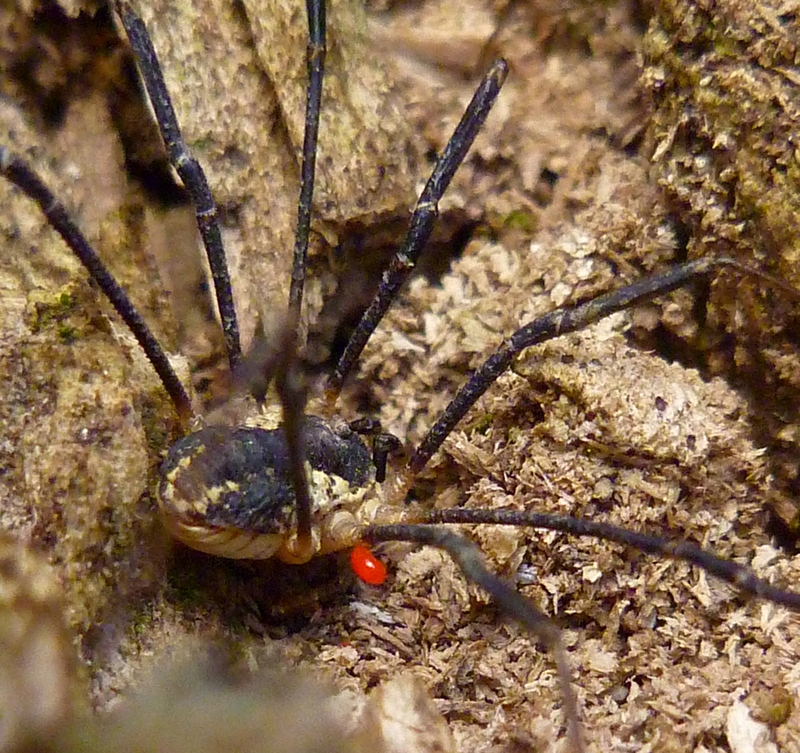 Interestingly, modern-day harvestmen still have genes that code for these lateral eyes, but the extra eyes are lost during embryonic development. 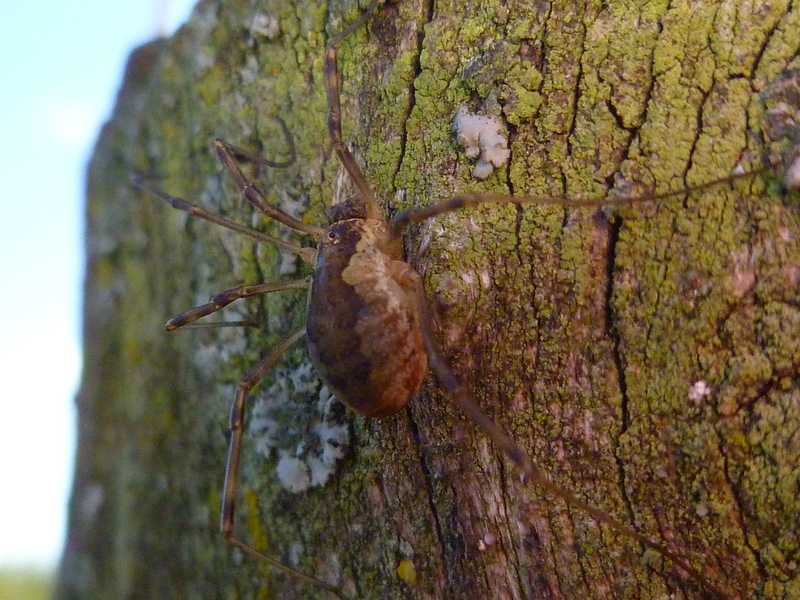 There are not many findings of fossilised harvestmen, because their exoskeleton is relatively fragile and doesn’t preserve well. According to researcher Garwood, the fossil of H. argus is unique because was preserved in three dimensions. 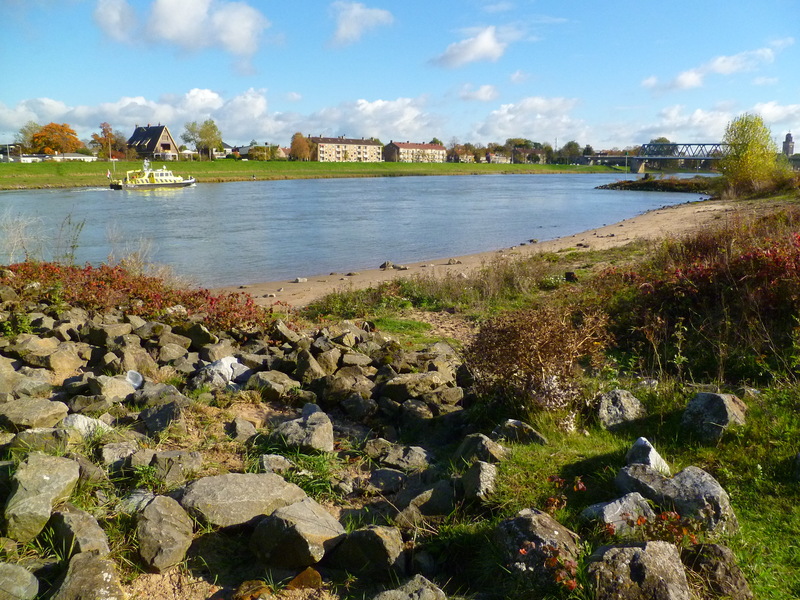 That enabled the researchers to examine the details of its morphology more closely than scientists have been able to do in the past. 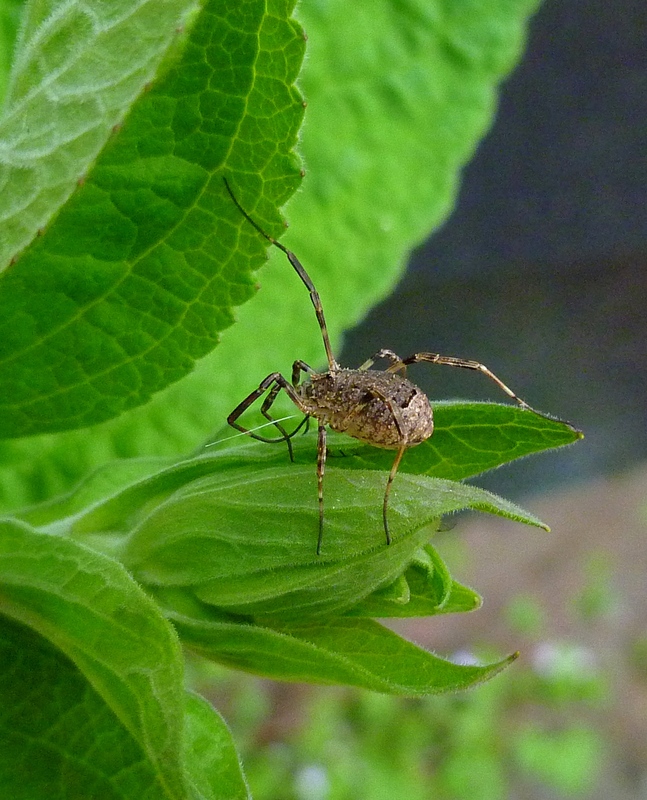 According to the researchers, H. argus is closely related to Eophalangium sheari, which is the oldest harvestman fossil ever found and believed to be one of the earliest terrestial animals. R.J. Garwood, P.P. Sharma, J.A. Dunlop, G.Giribet (2014). A paleozoic stem group to mite harvestmen revealed through integration of phylogenetics and development. Current Biology. 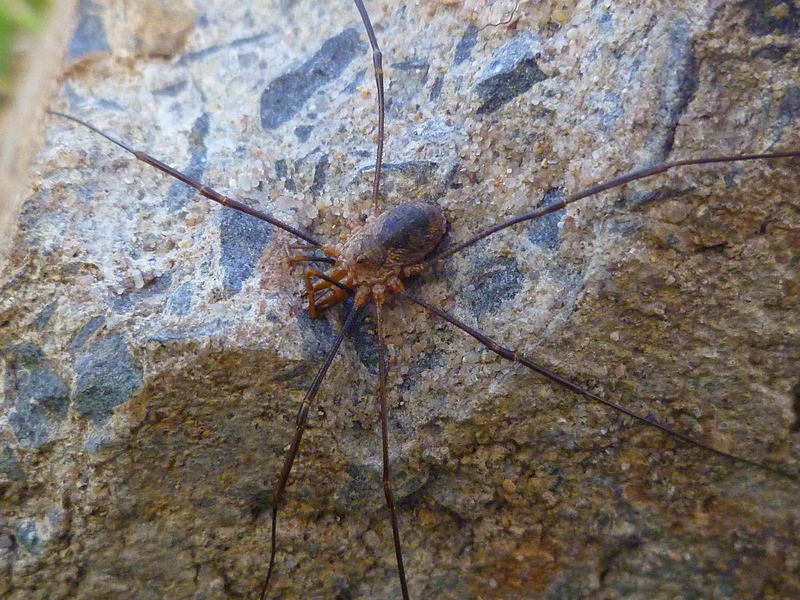 This month a giant harvestman has been found in a cave in Laos by Dr. Peter Jäger of the Senckenberg institute. 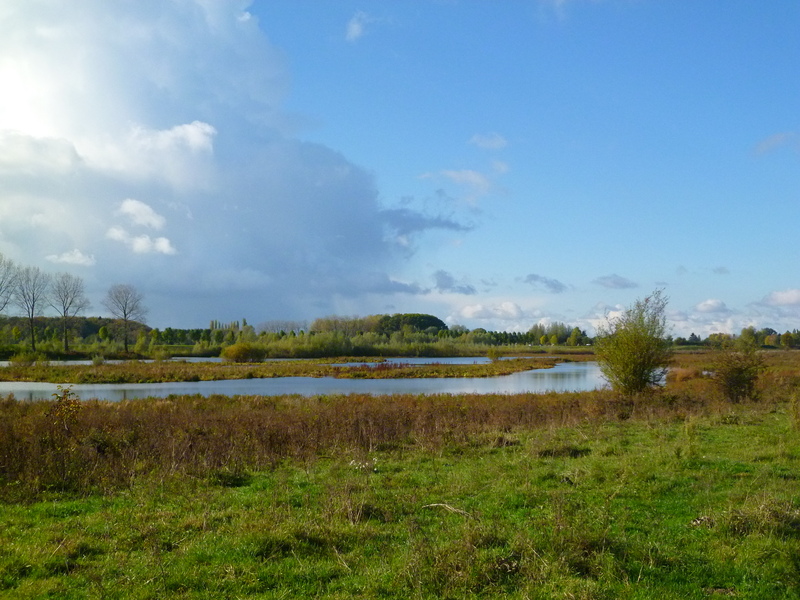 They have not yet been able to identify it to the species level, but it probably is a member of the genus Gagrella in the Sclerosomatidae family. 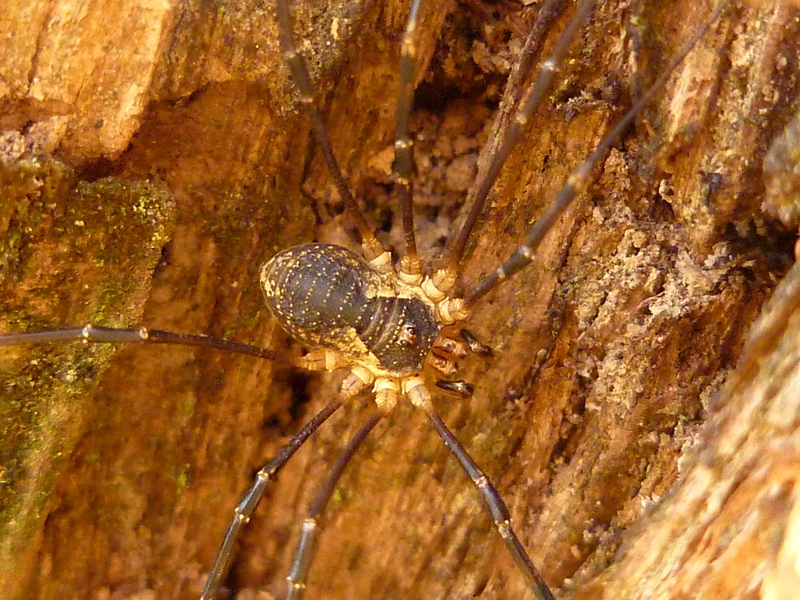 The interesting thing is that also other invertebrates reach giant dimensions in those caves in Laos, for example the Laotian huntsman spider Heteropoda maxima (span 30 cm), the whip scorpion Typopeltis magnificus (span 26 cm) and the predatory centipede Thereuopoda longicornis (40 cm). The reason why ‘giantism’ has developed there is still unclear. It is expected however that the invertebrates cannot become much larger than this. 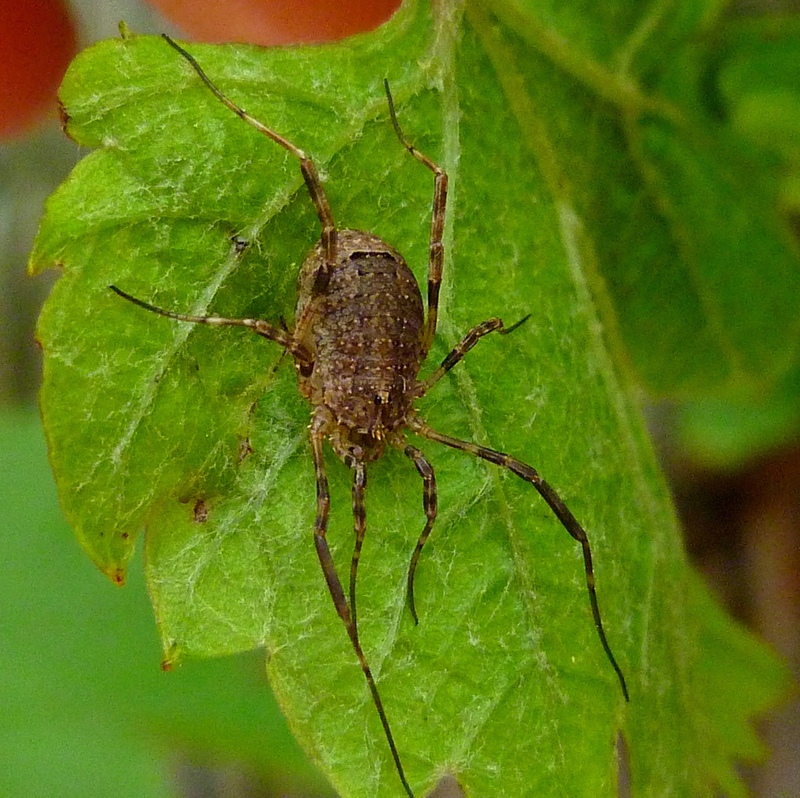 Either the oxygen supply would become a problem, or, in the case of harvestmen, the legs would become too long for fast movement.